Kicking things off today is day 16 of our 20 day giveaway celebration of AnandTech’s 20th anniversary. We’ve now in the final stretch of our giveaway, and over the next week we’ll be giving away the last of our prizes, so good luck to everyone. 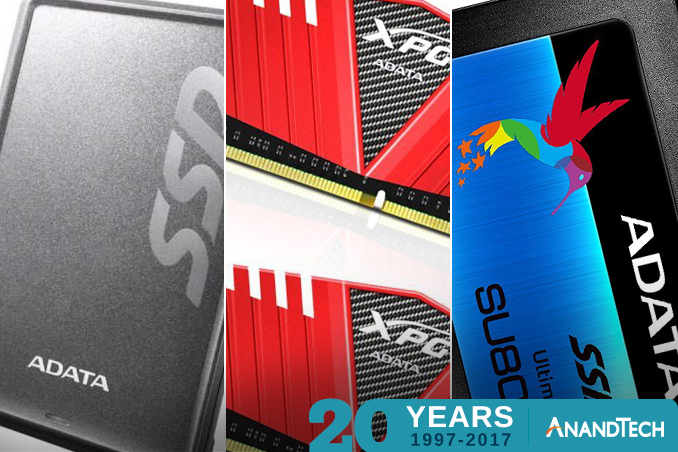 This morning’s prizes come from ADATA, one of the long-time vendors in the DRAM and flash memory storage market. To that end, the company has sent over a selection of prizes for both storage and RAM, including the SU800 SSD, SV620 external SSD, and two XPG Z1 DDR4-2133 16GB memory kits. 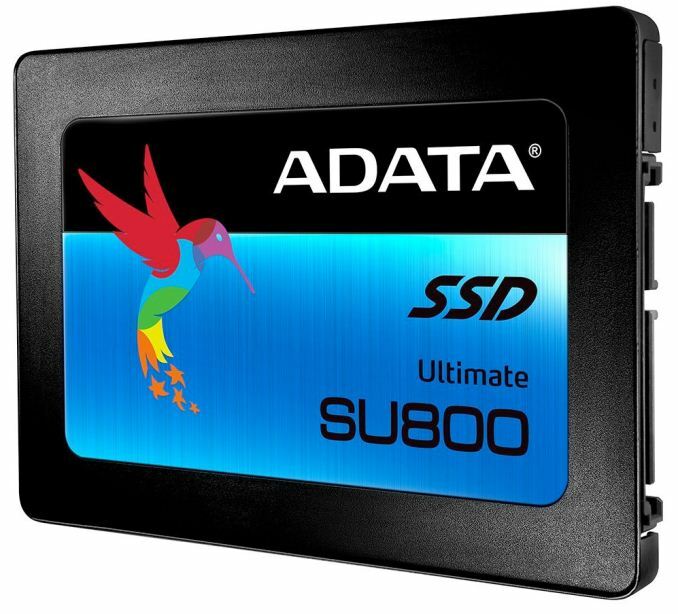 Starting things off, we have one of ADATA’s Ultimate SU800 SSDs. The 2.5” 256GB SATA drive uses a Silicon Motion SM2258 controller combined with Micron’s 32-layer TLC 3D NAND. This entry-level drive can just about saturate the SATA III interface in sequential reads, meanwhile write performance is boosted by the use of a pseudo-SLC mode write cache. 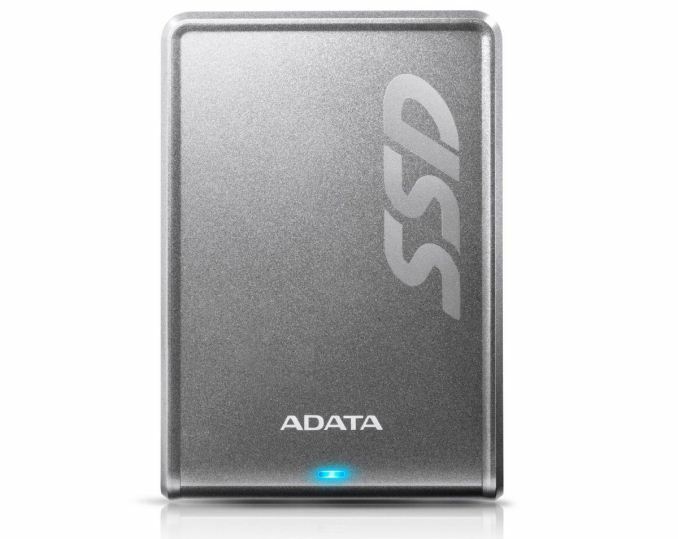 Meanwhile for those of you needing a bit more portable storage, we have a 240GB version of ADATA’s SV620 external SSD. This external drive uses a USB 3.0 Micro-B connection, and ADATA rates it for write speeds up to 440MB/sec, and read speeds of up to 420MB/sec. Internally, the enclosure contains one of ADATA’s SP550 SSDs, which is a Silicon Motion SM2256 controller paired with SK Hynix’s 16nm planar TLC. Last but not least, we have a pair of ADATA sub-brand XPG’s Z1 DDR4-2133 memory kits, which contains 16GB of DDR4 in a pair of 8GB DIMMs. These kits operate at 15-15-15 timings with a JEDEC standard voltage of 1.2v, so they can be easily dropped into any system. Meanwhile cooling is provided by an XPG-red heatspreader that covers the complete length of the RAM.